Soft skills are important in all elements of life, from building strong friendships to managing personal finances. However, they’re especially important in the world of work. Employers hugely value candidates who are able to demonstrate that they have these skills that make them ‘work-ready’. They want conscientious, trustworthy and driven employees who create positive, can-do, collegial working environments and, at the end of the day, help the company or organisation achieve its objectives. Yes, most roles will still have essential academic and technical criteria, but soft skills are becoming equally as important; when applying for a job alongside candidates with similar academic results or technical skills, being able to demonstrate that you have soft skills will give you the edge. And by demonstration we don’t just mean how you conduct yourself during the interview (although that is of course vitally important! ); you also need to be able to provide evidence of having soft skills by talking through experiences where you gained them. 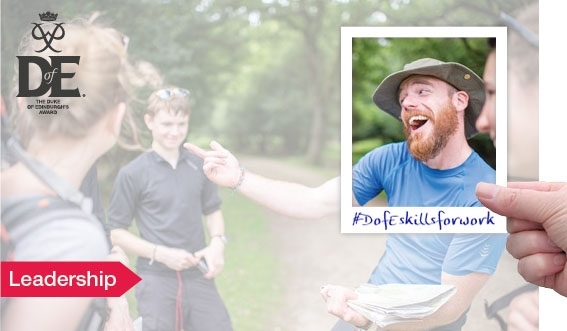 That’s where your DofE comes in; over 100 leading employers across all sectors, including British Gas, Amey, Heathrow and RSM have told us that they value the experiences a DofE Award holder has to offer and that they want Award holders in their business or organisation.